15:23 | Lima, Aug. 1. 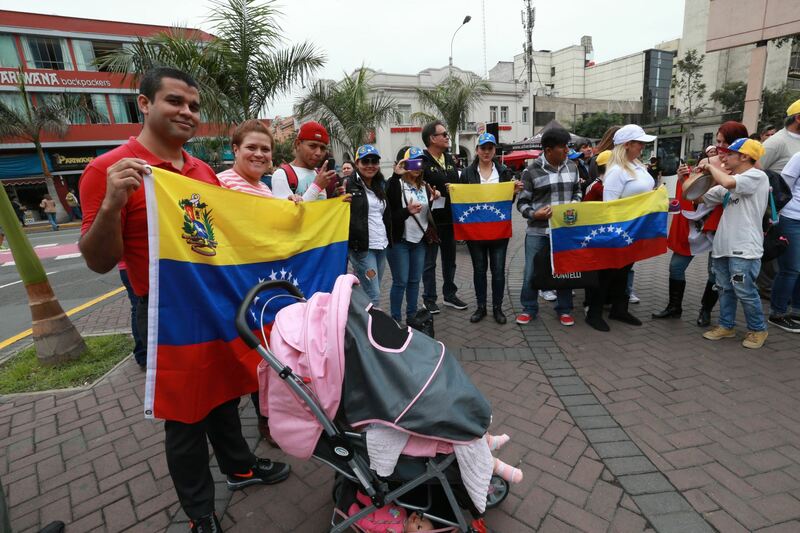 Starting today, Venezuelan citizens who legally entered Peruvian territory until July 31, 2017 may initiate proceedings to get a Temporary Resident Permit (PTP) and thus regularize their migration status, Peru's National Superintendence of Migrations informed Tuesday. As is known, the measure was announced by President Pedro Pablo Kuczynski during his annual Address to the Nation on the Inca country's 196th independence day anniversary (July 28). The initiative was made official a day later through Supreme Decree No. 023–2017–IN published in El Peruano official gazette. Superintendent Eduardo Sevilla described the measure as an act of reciprocity, since Peru "does not forget that Venezuela opened its doors to thousands of Peruvians who migrated to that country in the late 70s and during the 80s." "Today, it is our turn to demonstrate solidarity with Venezuelans arriving in Peru, many of whom are the descendants of Peruvian migrants," he stated. PTP holders are allowed to study, work, access health services, open a bank account and pay taxes under Peruvian law. A total of 11,464 Venezuelans applied for PTP under Supreme Decree No. 002-2017-IN issued last January for those who were in Peruvian territory before February 2. It is worth noting the Peruvian Government's action has been regarded "an example for the region" by the Inter-American Commission on Human Rights (IACHR).